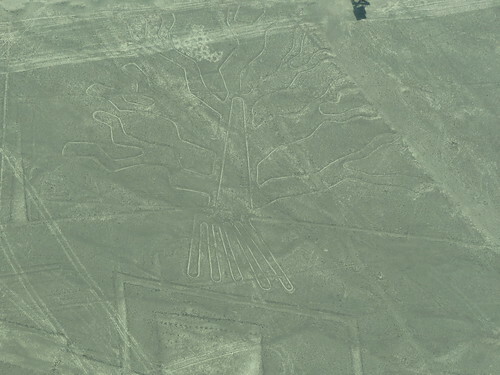 After Machu Picchu we were definitely ready for a bit of a rest and Nazca proved to be the perfect place for this. In the West of Peru and surrounded by desert it's a toasty change to the chilly heights of Cusco and the surrounding areas. We went here on recommendation from Nick's parents who had done the same trip as us nearly 30 years previously and I'm so happy that we did. 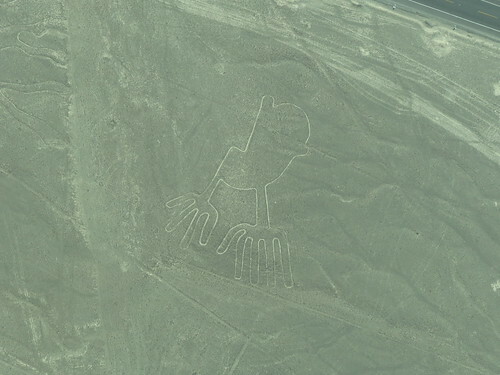 Nazca is infamous for some mysterious, ancient pictures that have been drawn in the sand out in the desert that can only be appreciated from above. We stayed in Hospedaje Brabant. The rooms were bright and clean, the staff were really helpful and friendly and they had a lovely roof area where you could relax. Stupidly I forgot to pack my hiking boots when we left, and it wasn't a problem for them to send my boots to me on the bus and did it straight away. 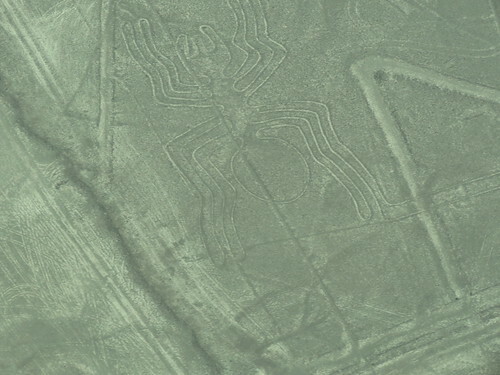 We only had one night here, so we got straight into it by arranging our tour to see the Nazca Lines. 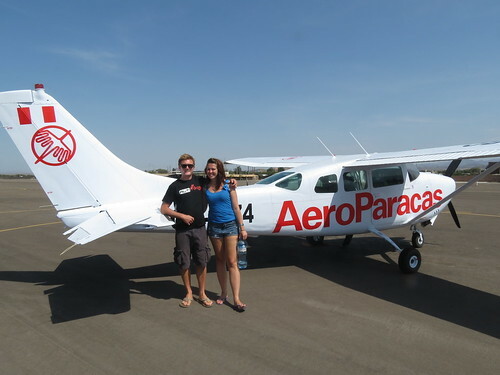 We decided to go with the company Aeroparacas as we really liked the sales rep, the price was reasonable and it was one of the recommended companies in the Lonely Planet. If you are ever considering going to see the lines I would definitely go with this company. 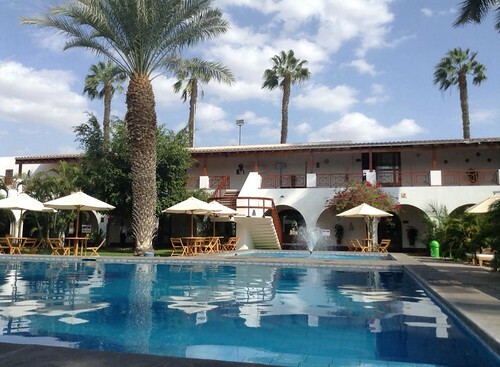 Having the afternoon to relax, we decided to go to the Nazca Lines Hotel. For just a few dollars you can buy entry to the pool and have lunch. The sun was shining and it was the perfect place to be while Nick went to watch his football match. 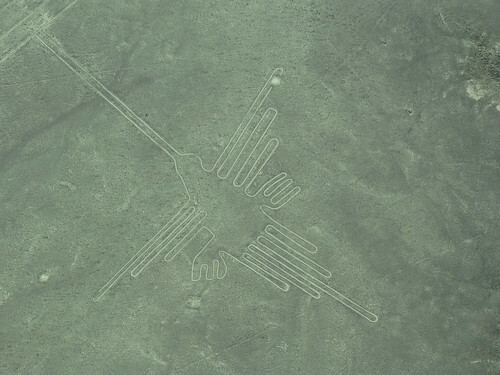 Lots of companies rely on the tourism that the Nazca Lines brings to the town, but this hotel is incredibly important in the history of the lines. The archaeologist Maria Reich who dedicated her life to exploring and understanding the lines actually lived permanently at the hotel. She really was amazing how much she sacrificed in her life for her passion, and the fact that she still visited the lines when she was very ill and old. We spent the afternoon at the poolside, then signed up for the hotel's evening talk in the observatory which talked about the believed link between the lines and the stars. It's amazing that today people still don't really know what the lines were about. Whether they were just nice pictures for the gods to look at as they peer down, but they believe that it was something to do with water. 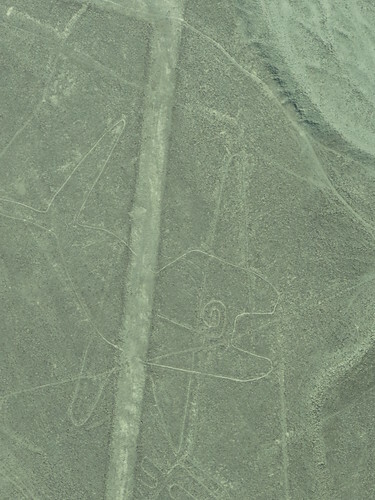 The settlers at that time would have needed water, and they think the lines all point to water sources. The next day I was really excited after the build up. 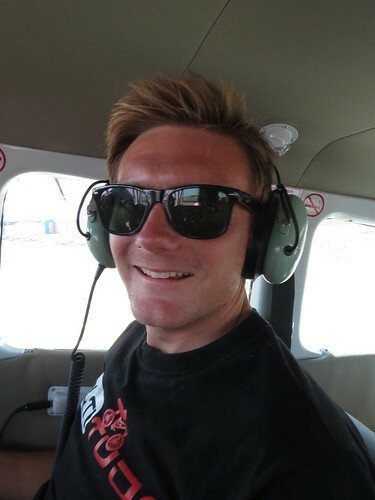 We went to airport early and were soon on the tiniest plane I've ever been on, flying high in the sky. The lines were really impressive, and I have no idea how they've stayed so prominent for so long. They're all in the shapes of animals and humans. My favourite was definitely the hummingbird and the hands. See if you can guess what they all are, there's a tree, a whale, a spider, a hummingbird, and a man with odd hands! When we got back to the hostel we called Nick's parents and thanked them for the recommendation. We were amazed to find out that they had done the same presentation in the observatory, but there's had been done by Maria Reich herself! 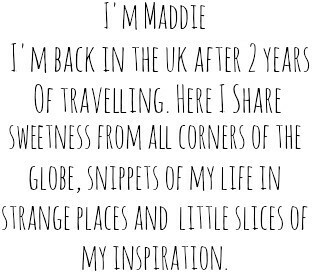 Although the tour is inconclusive as to why the lines are there, I still loved seeing them. Whether they're just pretty pictures for the gods or lines leading to survival, they're pretty impressive!